MEDICAL CORNER …. 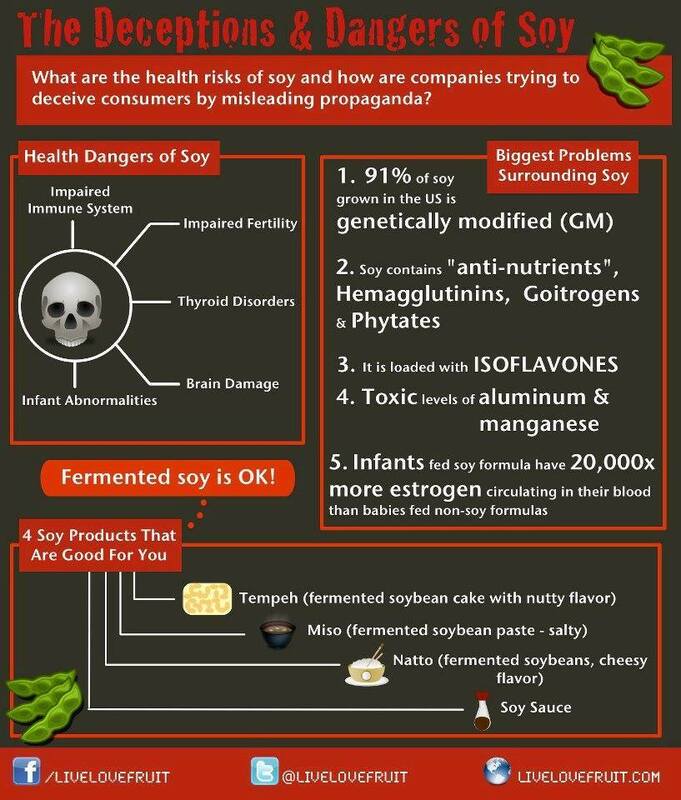 Health dangers of soy! Good article. People need to know what they are really eating; especially when it is a GMO. Who hasn’t heard of the marvels of soy? The marketing bandwagon has touted soy as the perfect health food for decades. But could something that sounds so healthful actually be dangerous? If you take the time to look into the actual science, then the answer is yes. Thousands of studies link soy to malnutrition, digestive distress, immune system breakdown, thyroid dysfunction, cognitive decline, reproductive disorders and infertility — even cancer and heart disease. This entry was posted in Gotta Be Healthy and tagged Chemicals, Food Chemicals, Food Poisoning, Genetically modified organism, GMO, Organic, Soy by Larry Shivers. Bookmark the permalink.